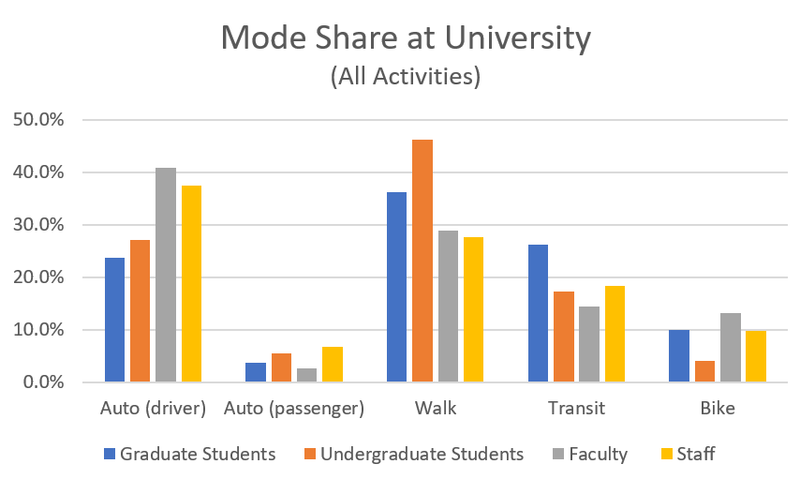 Hesam Hafezi co-authored the paper “Understanding and Modeling the Activity-Travel Behavior of University Commuters at a Large Canadian University” and asked me to share it with you. Trip generation is a popular topic in our industry, so I’ve decided to share the paper with you below (I turn down most papers as being too academic). There’s a lot of data that would be useful for regional modeling in the paper and I encourage you to dig into it if you are working on a regional model that includes a significant university campus within your study area. For more info on university-related data, check out my post on student housing trip generation. Caveat Emptor – The study includes data from a single university, Dalhousie University in Nova Scotia, Canada. 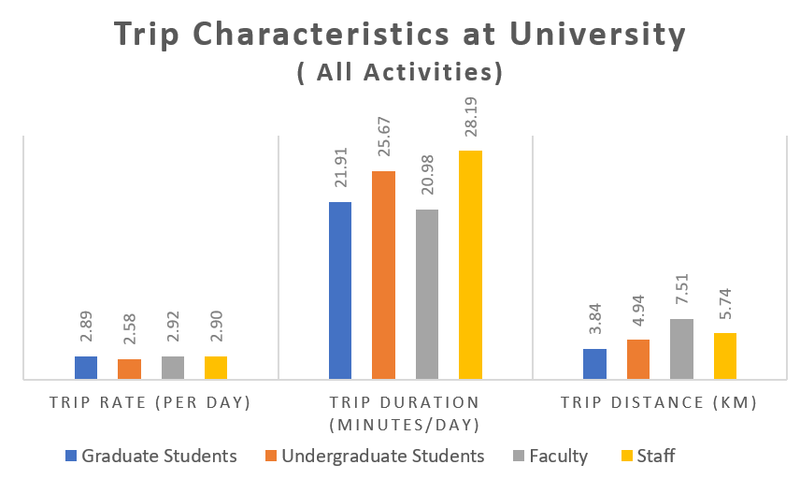 Although this is useful data, I would like to see other researchers use the same methods at more university campuses so we can get better statistics on travel behavior at universities. Do you have trip data for other university campus? Contact our staff. We would love to hear from you. Don’t forget to check out our free Trip Generation data. More than 13K hours of professionally collected trip generation data – FREE. TripGeneration.org.